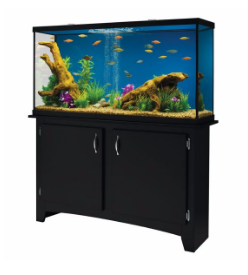 55 Gallon Fish Tanks For Sale (50-60 Gallon) | FishTankBank. Available in one color – blue! 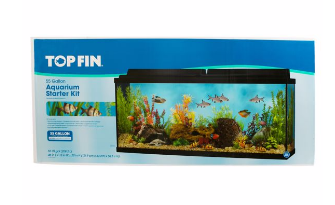 This is a pretty basic, no frills fish tank, but it does exactly what you need it to do. 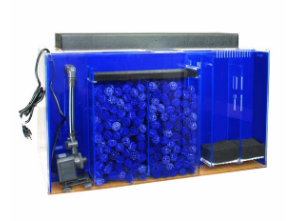 It will provide you with 55 gallons of space for your fish, in a safe glass tank. It’s perfect for any fish owner who already has everything they need to get started. 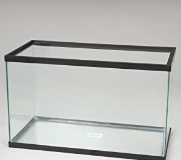 The nice heavy thick glass make this a very strong and sturdy tank, and as long as you have your own filter, heater and thermometer – this is all you need! For sale by PetSmart, this hexagon aquarium is the perfect home for any larger species of fish that you may look after. At 55 gallons, there’s more than enough room in this tank to hold larger fish, or if you’re breeding you could add a divider and keep different species together in here (or even different Betta fish as they can be aggressive). We’re huge fans of the design, and think that the hexagon shape is perfect for fish who like a bit of privacy. What many people don’t talk about is how important corners are for fish – they love hiding in them! If you fill this tank with decorations and plants, then they’ll be able to hide in any corner they want. Perfect for shy fish like Bettas! 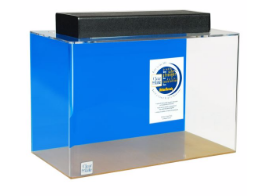 It wouldn’t be much good to have a large 55 gallon aquarium or fish tank without a sturdy stand that could handle the weight properly! Luckily Petsmart also have a great stand to support these massive aquariums, including this Marco stand. 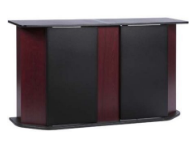 Available in black, brown or red, you can choose whichever color matches your home best for this 55 gallon aquarium stand. The most important thing about this stand is that it will keep your fish safe and sound! And a useful starter guide full of essential fish keeping information! Tall column design – perfect for homes with little children or pets running around who you want to keep well out of reach of your fish tank! Cabinet space – ideal for storing items like fish nets, dividers and food. Stylized hood – designed to reduce water evaporation, which ensures that all 55 gallons stay exactly where they need to be! 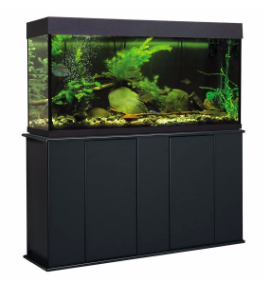 Large front panel – this aquarium is designed to show your fish off! 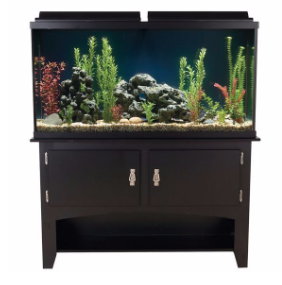 A 50, 55 or even 60 gallon fish tank or aquarium might seem like overkill, but there are many instances where you might require one. 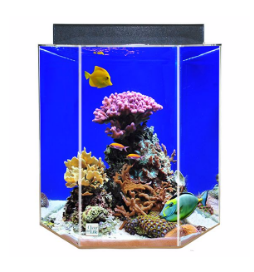 For example, if you're serious about keeping fish and you want to keep them happy, then you'll definitely need an aquarium which is around the size of 55 gallons (or at least around that!). 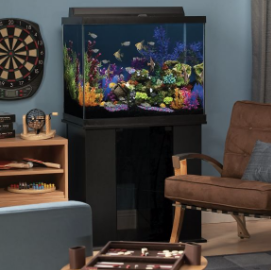 But if you're going to have a fish tank of that size, you'll also need a stand that can handle the weight. 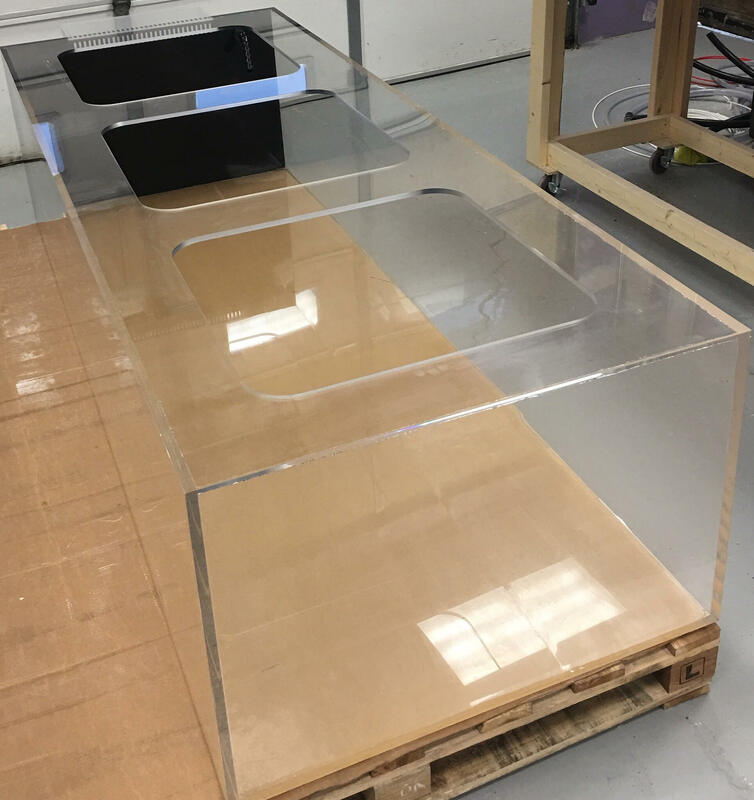 These plastic and glass tanks are available in a variety of dimensions, shapes and materials, but they're all between 50-60 gallons, and they're all for fish! 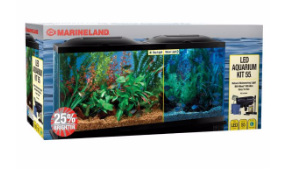 There is also a brief guide which shows you how to set up and maintain your fish tank once you get it.